Having not hiked in a couple of weeks I was getting antsy to get out this past Saturday. Sommer and I were having a Christmas party with some friends and I had to be up early to prepare a turducken for the party. 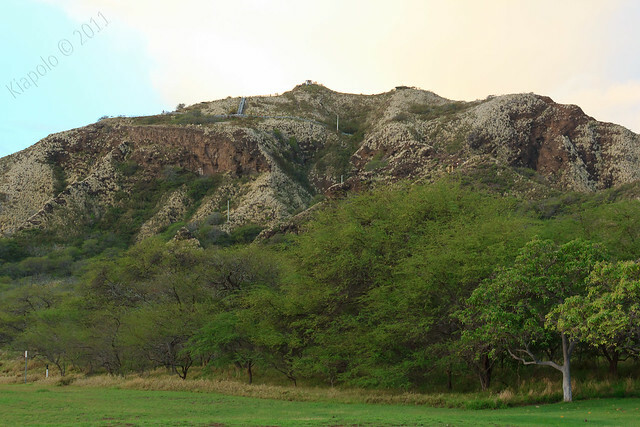 I decided to head up Diamond Head and check out the new bypass trail the State recently opened. 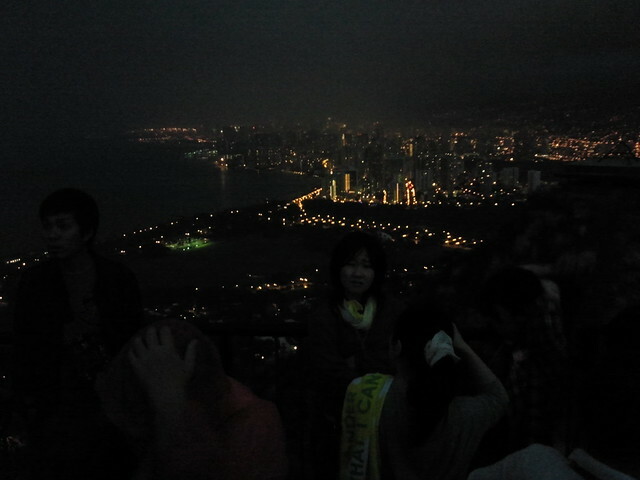 Diamond Head doesn't open until 6 am. 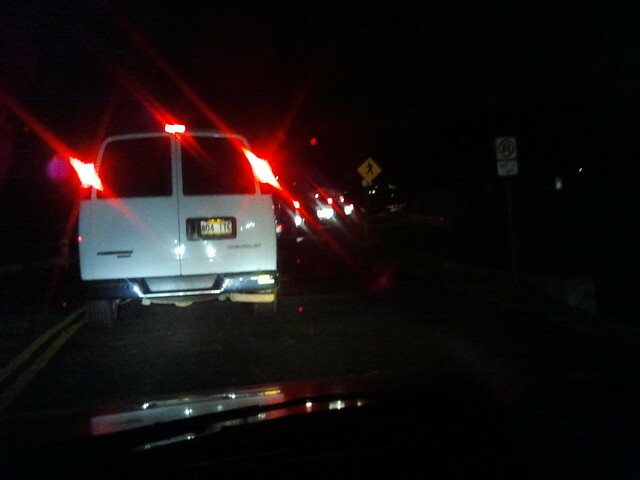 I got there at around 5:45 am, and there was a line of cars and tour buses waiting at the tunnel for the gates to open. 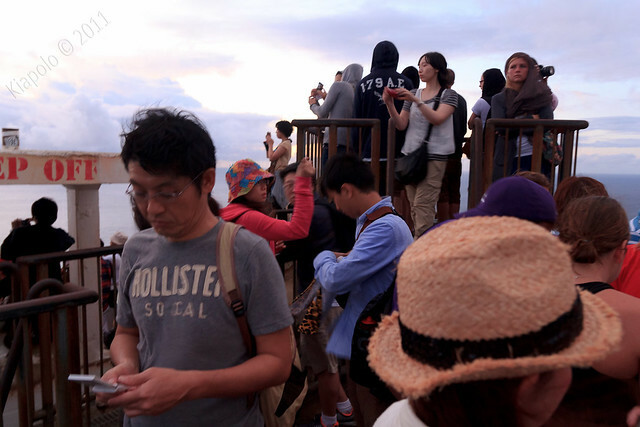 There was a mass of people walking into the crater as well, with easily 100-200 people crowded around the entry kiosk, waiting to pay to get into the park. 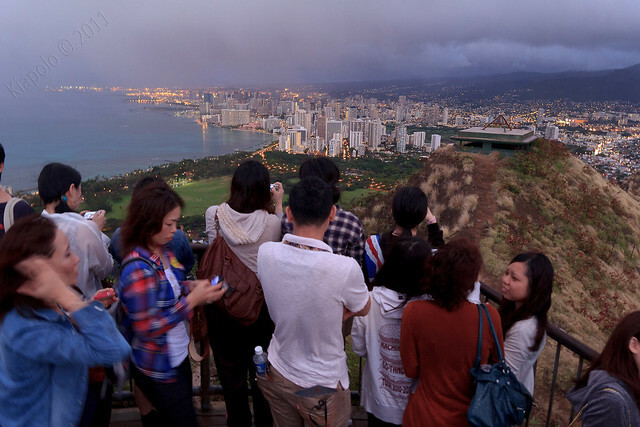 I have never seen Diamond Head as crowded as I did that morning! 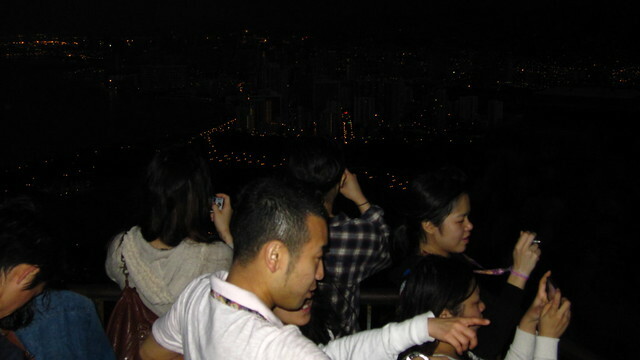 Hiking under the darkness of the pre-dawn morning (the sun doesn't rise until 7 am) the crowd was suffocating! There was a solid line of people stretching nearly the entire length of the trail, from top to bottom! 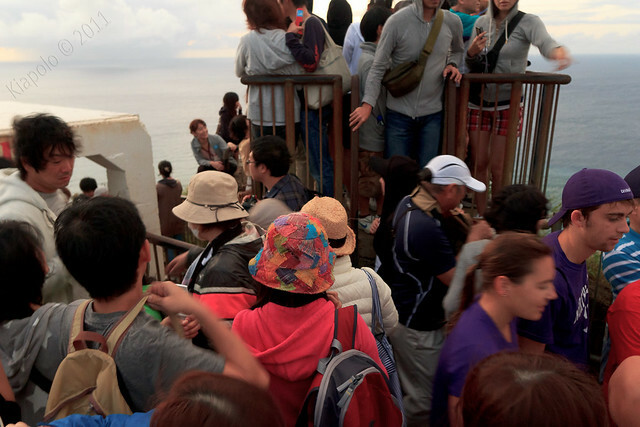 It was frustrating because there was simply no room to move past the crowds of early morning adventurers. Finally some fitness lady was forcing her way past the throng, and I simply followed in her wake and made my way past the cruising tourists. 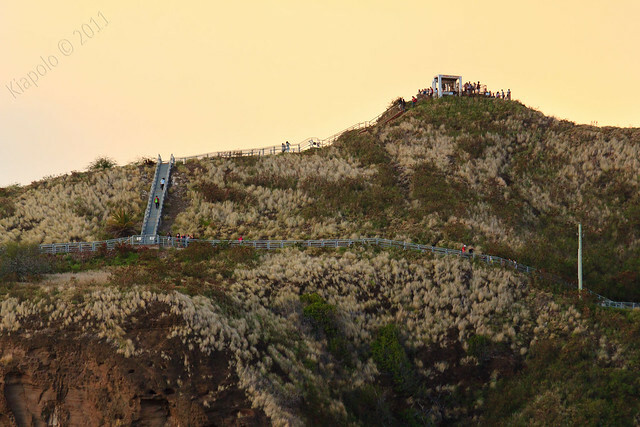 The new bypass trail avoids the LONG stairs and the claustrophobic spiral stairway sections inside the bunker complex. 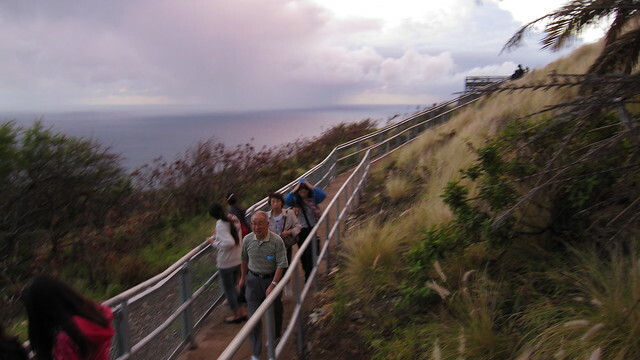 It makes for a very pleasant walk up some stairs along the inside of the crater wall. I really like the new path, it's much more enjoyable and scenic than drudging through the bunker complex. 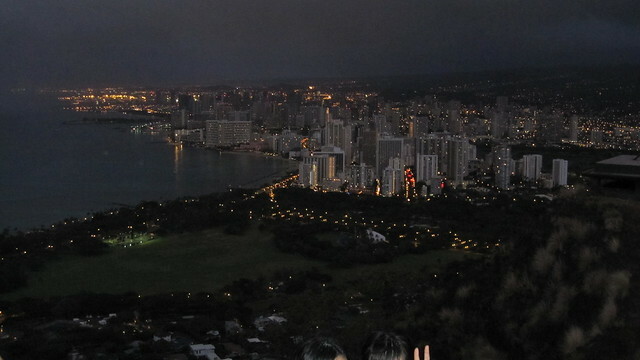 Diamond Head offers the best views of Waikiki, which are even better in dark. I swear the trail was the most crowded I've ever seen. Soon the sun started to approach the horizon and things lightened up. 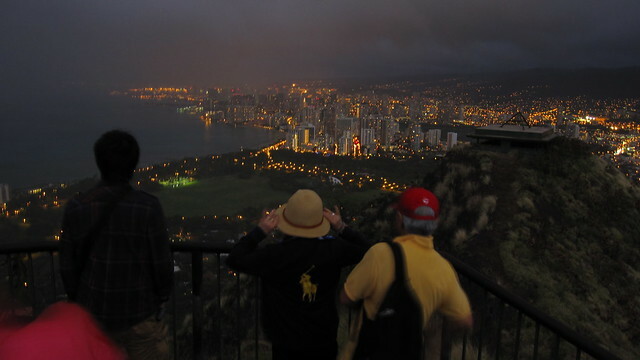 The new bypass also has a lower lookout on the south/koko head side of the crater rim. Pictures of the bypass from the parking lot.